Pandit/Pujari (Hindu priest): A Hindu priest performs worship services (generally referred to as puja) which include ceremonies and rituals. Typical Hindu rituals and ceremonies may include daily deity worship (ie. archana, homa or aarti), special deity celebrations (ie. Durga Puja, Shiva Abhishekham or Govardhan Puja), special ceremonies (ie. vahana puja or navagraha puja) and life sacrament ceremonies (samskaras or weddings, pre-birth, sacred thread and last rites, to name a few). Many worship services are performed onsite at a Hindu temple or organization site. Others may be performed off-site. The services may also vary in duration and intricacy. Most practicing Hindus perform puja at least once or twice a day, while at temples, puja may be performed multiple times during any given day. 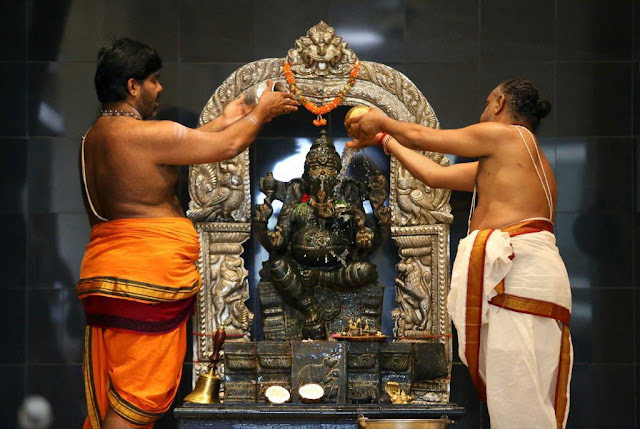 To officiate the various rituals and ceremonies of Hinduism, priests must be able to effectively and knowledgeably serve a Hindu temple and community's worship service needs. Most priests are traditionally trained, but some may have gained their knowledge and skills through independent study. 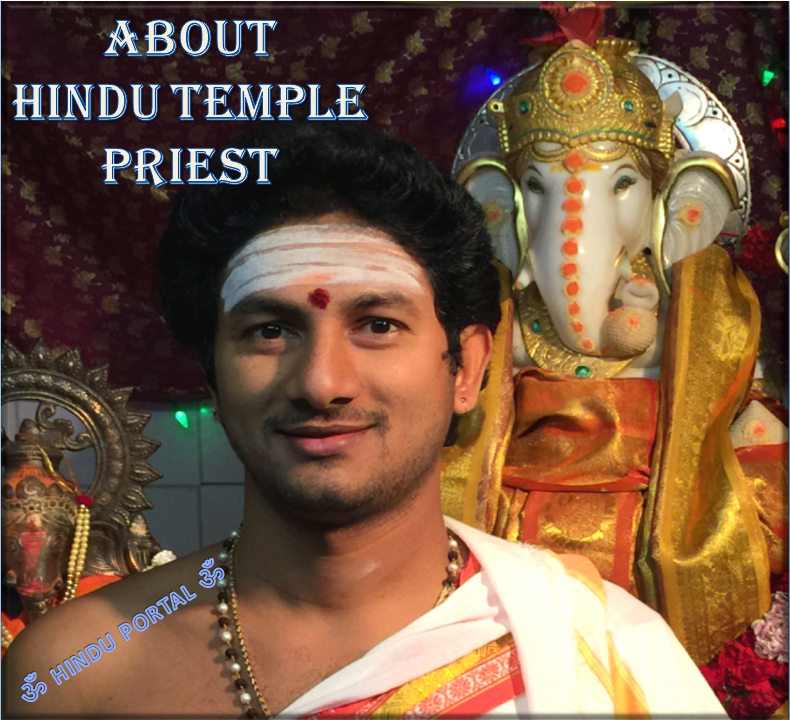 A qualified priest is one who has a detailed, working knowledge of the various steps involved in some of the most common worship services; can chant special prayers that may be in Sanskrit or vernacular Indian languages (ie. mantras or stotrams) and is familiar with the necessary items for different ceremonies and rituals (such as flowers, rice, coconut, clarified butter, specially prepared food offerings, incense, vermilion and camphor to name only a few). 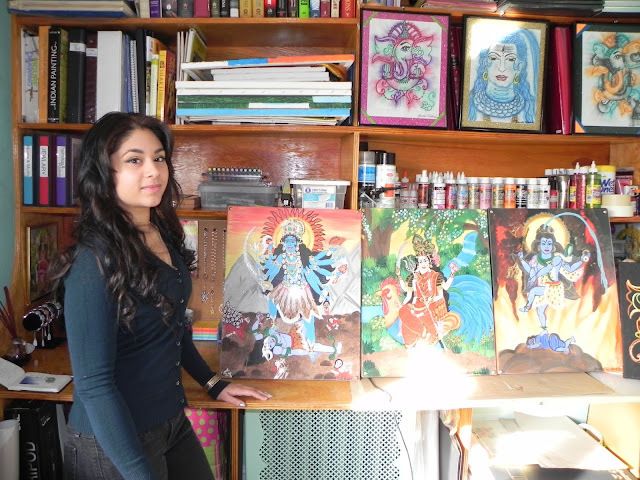 While the majority of Hindu priests are male, an increasing number of women are entering this line of work in India, where the majority of Hindus reside, and throughout the Hindu diaspora. A pandit or priest may be called upon in smaller temples, to prepare food offerings or prasadam for Hindu worship services, which are then distributed to temple devotees. Two pujaris (priests) at a South Indian temple. Deity is Lord Ganesha. Since the Hindu tradition is highly decentralized, the occupation of the priest is not necessarily certified by any central authority. The religious occupation and the capabilities required for the various roles of the priest are verified and affirmed in the context of the community where the priest traditionally receives training, engages in the occupation and is recognized as competent based on the quality of his work. If, however, a Hindu temple or organization based in the U.S. is affiliated with a particular tradition lineage (sampradaya), it may have additional requirements for a priest, such as having to be well versed in the specific lineage, scripture and worship services of the tradition lineage and certified by an authority recognized by the sampradaya. Paricharakaras (Religious food preparers): Paricharakaras specialize in the preparation of food offerings or prasadam for Hindu worship services which are then distributed to temple devotees. Every day in a typical Hindu temple begins with puja, which includes an offering of prasadam prepared by priests in the temple kitchen. 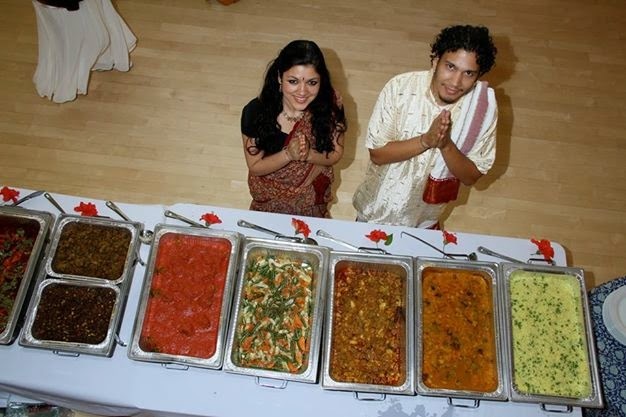 During high holidays or days on which special worship serives or life sacrament ceremonies are being conducted, the offering of prasadam may be even more elaborate. While preparing any sanctified food offering, the priest must meet certain minimal requirements of purity and austerity and abide by strict guidelines, such as the proscription of the use of meat in any food prepared or served in the temple or limitations on the use of onion and garlic. Often times, only certain kinds of grain can be offered or other permutations and/or limitations. A few times a year, many temples commemorate certain Hindu deities with a symbolic enactment of marriage of particular manifestations of God and Goddesses are celebrated (Kalyanams) or a particular deity's birth (Krishnajanmashtami). During these very elaborate celebrations, a variety of prescribed foods are cooked in the temple kitchen, offered during the ceremonies and later distributed to temple devotees as blessings. Another example is that of Annaprashna. Annaprashna is a life sacrament ceremony is one which celebrates the first solid food a Hindu child partakes in. In this age-old tradition, uncooked rice is offered during the ceremony and is later cooked in the temple kitchen and offered to not only the child, but all guests of the ceremony and temple devotees. Lastly, Yagnas and Homams or fire ceremonies, are special rituals which involve the preparation of certain foods. These foods, in accordance with religious prescriptions in the temple kitchen, are offered as oblations in a fire ceremony and the remaining are served to guests and temple devotees. Any and all food served in a Hindu temple is considered sacred and thus must abide by strict guidelines as mentioned earlier. Most Paricharakaras are traditionally trained, but some may have gained their skills through independent study. Some paricharkaras can also be trained in Hindu worship services, so may play a variety of roles - as ritual food preparers in a temple kitchen as well as the liturgical officiants in religious ceremonies and rituals. Since the Hindu tradition is highly decentralized, the occupation of the paricharakaras is not necessarily certified by a central authority. The religious occupation and the capabilities required for the various roles of the priest are verified and affirmed in the context of the community where the priest traditionally receives training, engages in the occupation and is recognized as competent based on the quality of his work. If, however, a Hindu temple or organization based in the U.S. is affiliated with a particular traditional lineage (sampradaya), it may have additional requirements for a priest, such as having to be well versed in the specific lineage, scripture and worship services of the traditional lineage and certified by an authority recognized by the sampradaya. Sthapati (Religious Architect): Sthapatis are traditionally trained Hindu architects and builders. 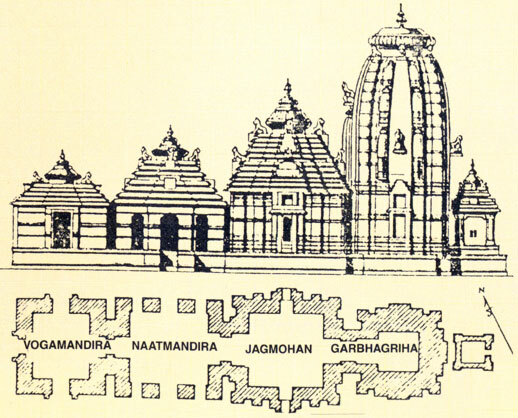 Most Hindu architecture, especially temples, are designed and built according to Vaastu Shastra. Vaastu Shastra provides sacred directives for essentially all kinds of edifices. Based on the sthapati's knowledge of this collection of scripture and practical expertise, he or she provides guidance in designing, building or renovating a temple, from the selection, geographic position and composition of the property to the direction, physical placement, dimensions, design, materials and embellishment of the actual structure and surrounding grounds. While designing or building a temple, the sthapati may be required to meet certain minimal requirements of purity and austerity and abide by other guidelines, such as the proscription of eating meat, daily prayer and participating in other religious regimens. A qualified sthapati should be trained in the theoretical, scriptural and practical aspects of Vaastu. The science of Vaastu shastra dates back several thousands of years and is formerly studied through either the traditional guilds, apprenticeships and oral tradition; through independent certification coursework or college degree programs. A sthapati may also be called upon to perform certain worship services during different stages of the designing and building of a temple. As such, a sthapati must have a working knowledge of the various steps involved in certain worship services (generally referred to as puja); can chant special prayers that may be in Sanskrit or vernacular Indian languages (ie. mantras or stotrams) and is familiar with the necessary items for the specific ceremonies and rituals (such as flowers, rice, coconut, clarified butter, specially prepared food offerings, incense, vermilion and camphor to name only a few). Vaastu shastra and shilpi shastra, the science or art of sacred sculpture, are collectively referred to as Sthapatya Veda. Since the Hindu tradition is highly decentralized, the occupation of the sthapati is not necessarily certified by any central authority. The religious occupation and the capabilities required for the sthapati are verified and affirmed in the context of the community where the sthapati traditionally receives training, engages in the occupation and is recognized as competent based on the quality of his or her work. If, however, a Hindu temple or organization based in the U.S. is affiliated with a particular tradition lineage (sampradaya), it may have additional requirements for the sthapati, such as having to be well versed in the specific lineage, scripture and worship services of the tradition lineage and certified by an authority recognized by the sampradaya. 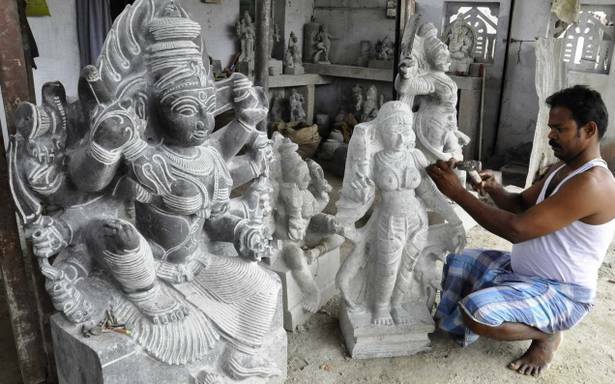 Shilpi (Religious Artisans): Shilpis are traditionally trained Hindu sculptors. Every temple houses deities or murtis, which are central to Hindu worship as the physical representation of a particular manifestation of God and may have sculpted architectural ornamentation . Murtis and sculpted temple ornamentation, in the same vein as temple design, are carved, adorned and installed according to strict sacred directives. Temple sculpture, be it stone, metal, wood or clay, is directed by a collection of scripture called shilpi shastra. While sculpting any item for a temple, the shilpi must meet certain minimal requirements of purity and austerity and abide by strict guidelines, such as the proscription of eating meat, daily prayer, rising early in the morning to carve and participating in other strict religious regimens. The science of Shilpi shastra dates back several thousands of years and is formerly studied through either traditional guilds, apprenticeships and oral tradition or through independent certification coursework. A qualified shilpi should be trained in the theoretical, scriptural and practical aspects of Shilpi shastra. A shilpi may also be called upon to perform certain worship services during different stages of sculpting. As such, a shilpi must have a working knowledge of the various steps involved in certain worship services (generally referred to as puja); can chant special prayers that may be in Sanskrit or vernacular Indian languages (ie. mantras or stotrams) and is familiar with the necessary items for the specific ceremonies and rituals (such as flowers, rice, coconut, clarified butter, specially prepared food offerings, incense, vermilion and camphor to name only a few). Shilpi shastra and Vaastu shastra, the science or art of architecture, are collectively referred to as Sthapatya Veda. Since the Hindu tradition is highly decentralized, the occupation of a shilpi is not certified by any central authority. The religious occupation and the capabilities required for the shilpi are verified and affirmed in the context of the community where the shilpi traditionally receives training, engages in the occupation and is recognized as competent based on the quality of his or her work. If, however, a Hindu temple or organization based in the U.S. is affiliated with a particular tradition lineage (sampradaya), it may have additional requirements for the shilpi, such as having to be well versed in the specific lineage, scripture and worship services of the tradition lineage and certified by an authority recognized by the sampradaya. provide devotional services or teach at the temple or organization site or off-site. In this category, special mention must be made of "Odhuvaars". Odhuvaars are well-versed in Tamil Liturgy that dates back between 1200-1500 years. This liturgy has been passed down through an oral tradition of singers who are distinct from pujaris that perform the worship ceremonies in the temple. Odhuvars are an integral part of most worship ceremonies in Tamil temples. Somewhat akin to those who perform the Gregorian chant at churches. Religious jewelers: Hindu religious jewelers custom-design and make onsite silver, gold and bejeweled ornamentations for temple murtis or deities. The art of alankara (decoration of deities) is an age old tradition in Hinduism and is a central facet of worship. In many temples, only certain people are allowed to touch the Deity or to enter the sanctum. Each Deity is different from another, being handmade, and these ornamentations are thus either made on site or fitted on site. Brahmachari (male) or brahmacharini (female)(Student Monk): A brahmachari or brahmacharini is an individual who has made a formal lifetime commitment in his or her earlier stages of training and initiation. Most tradition lineages or sampradayas require a minimum period of novitiate experience under short-term vows prior to the individual's taking of lifetime as the latter requires years of proper study, spiritual guidance and commitment. Other brahmacharis, while still in a novitiate, may gain this title or status under the tutelage of a non-tradition lineageal guru or spiritual master or through independent study, austerities, contemplative meditation and a stated commitment through such vows. Vows for any student monks may include ones of celibacy, renunciation of wealth and personal property, gradual severing of family ties and obligations, contemplative study of scripture, daily meditation and prayer, certain dietary restrictions and simple living among others. Brahmacharis fulfill an essential role in Hindu society. To help meet the ministering needs of a Hindu temple or Hindu community, brahmacharis may conduct certain worship services, give lectures on scripture and Hindu philosophy, host adult discussion or scripture study groups, manage balavihars or student study groups and oversee service projects. Brahmacharis may also be called upon to act as a counselors or advisors to Hindu temple or organization members. Since the Hindu tradition is highly decentralized, the occupation of the bramachari or brahmacharini is not necessarily certified by any central authority. The religious occupation and the capabilities required for the brahmachari are verified and affirmed in the context of the community where the brahmachari traditionally receives training, engages in the occupation and is recognized as competent based on the quality of his or her work. If, however, a Hindu temple or organization based in the U.S. is affiliated with a particular tradition lineage (sampradaya), it may have additional requirements for the brahmachari, such as having to be well versed in the specific lineage, scripture and worship services of the tradition lineage and certified by an authority recognized by the sampradaya. A swami or swamini (may also be called an acharya in some tradition lineages/sampradayas) is an individual who has made a lifetime commitment to monkhood. 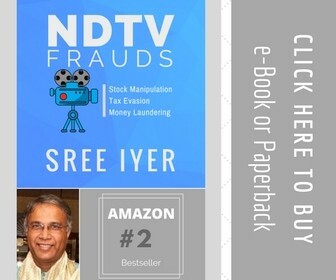 This may include a renunciation of all duties and obligations of family life, including wealth, personal property, social status, marriage and family ties. Most tradition lineages or sampradayas require an extended period of experience for lifetime vow as this commitment requires years of proper study, spiritual guidance and commitment. Other swamis may gain this title or status under the tutelage of a non-tradition lineageal guru or spiritual master or through independent study, austerities, contemplative meditation and a stated commitment through such vows. Lifetime vows for any monk may include ones of celibacy, renunciation of wealth and personal property, renunciation of family ties and obligations, contemplative study of scripture, daily meditation and prayer, certain dietary restrictions and simple living among others. 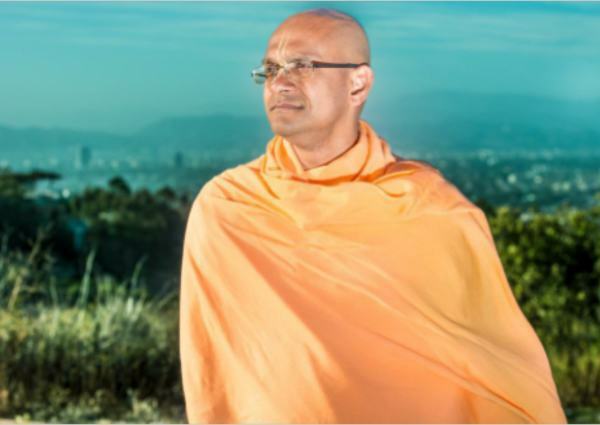 Swamis fulfill an essential role in Hindu society and serve as the spiritual and religious leader and minister of his or her Hindu temple or organization. To help meet the ministering needs of a Hindu temple or Hindu community, swamis may conduct certain worship services, give lectures on scripture and Hindu philosophy, host adult discussion or scripture study groups, manage balavihars or student study groups and provide guidance to brahmacharis (student monks). Swamis may also be called upon to act as a counselors or advisors to Hindu temple or organization members. Since the Hindu tradition is highly decentralized, the occupation of the swami or swamini is not necessarily certified by any central authority. The religious occupation and the capabilities required for the swami are verified and affirmed in the context of the community where the swami traditionally receives training, engages in the occupation and is recognized as competent based on the quality of his or her work. If, however, a Hindu temple or organization based in the U.S. is affiliated with a particular tradition lineage (sampradaya), it may have additional requirements for the swami, such as having to be well versed in the specific lineage, scripture and worship services of the tradition lineage and certified by an authority recognized by the sampradaya. Brahmacharis fulfill an essential role in Hindu society. To help meet the needs of a Hindu temple or Hindu community, brahmacharis may conduct certain worship services, give lectures on scripture and Hindu philosophy, host adult discussion or scripture study groups, manage balavihars or student study groups and oversee service projects. Brahmacharis may also be called upon to act as a counselors or advisors to Hindu temple or organization members. Swami (male) or Swamini (female) (Spiritual teacher/Monk): A swami or swamini (may also be called an acharya in some tradition lineages/sampradayas) is an individual who has made a lifetime commitment to monkhood. This may include a renunciation of all duties and obligations of family life, including wealth, personal property, social status, marriage and family ties. Most tradition lineages or sampradayas require an extended period of experience for lifetime vow as this commitment requires years of proper study, spiritual guidance and commitment. Other swamis may gain this title or status under the tutelage of a non-tradition lineageal guru or spiritual master or through independent study, austerities, contemplative meditation and a stated commitment through such vows. Lifetime vows for any monk may include ones of celibacy, renunciation of wealth and personal property, renunciation of family ties and obligations, contemplative study of scripture, daily meditation and prayer, certain dietary restrictions and simple living among others. Swamis fulfill an essential role in Hindu society and serve as the spiritual and religious leader of his or her Hindu temple or organization. To help meet the needs of a Hindu temple or Hindu community, swamis may conduct certain worship services, give lectures on scripture and Hindu philosophy, host adult discussion or scripture study groups, manage balavihars or student study groups and provide guidance to brahmacharis (student monks). Swamis may also be called upon to act as a counselors or advisors to Hindu temple or organization members.